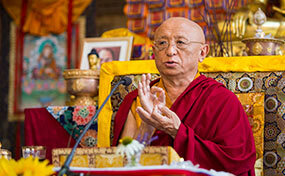 Chokyi Nyima Rinpoche gave a condensed version of the Heart Sutra, presided over the Ngakso puja and offered precious mind teachings. 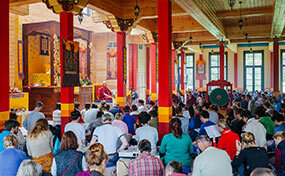 Chokyi Nyima Rinpoche thaught the Heart Sutra, guided a day long Ngakso Puja and concluded with teachings about the mind. 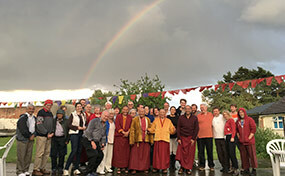 During the summer seminar in Gomde France about 108 participants who came from all over the world received profound teachings from Rinpoche. 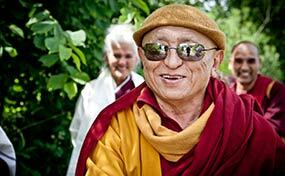 During the summer seminar in Gomde Denmark Rinpoche taught the Heart Sutra and gave Dzogchen teachings. 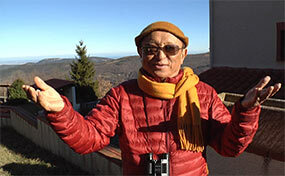 Chokyi Nyima Rinpoche in Russia, Tubten Ling. 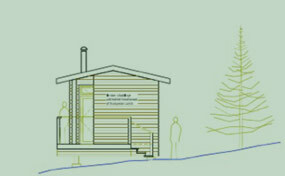 Wonderful news! 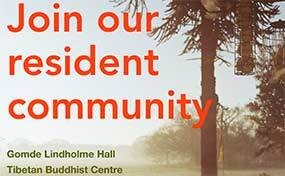 Gomde Scotland got planning permission for all existing buildings on the land: the Lhakang, Rinpoche’s cabin, the monks’ hut, the kitchen and Lama lounge near the lake, the cosy Sangha workshop and solitary retreat hut. 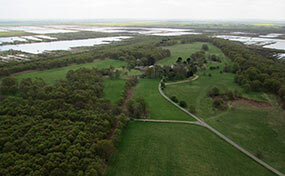 Our new international retreat center, Gomde France, is located in a very remote and quiet area of the southern French Pyrenees, near the Spanish border.